I have a '96 CBR1000F that was gifted to me by a (very awesome) friend last year. It had been sitting covered in a garage for 10 years and I was able to bring it back to life after a thorough carb rebuild. 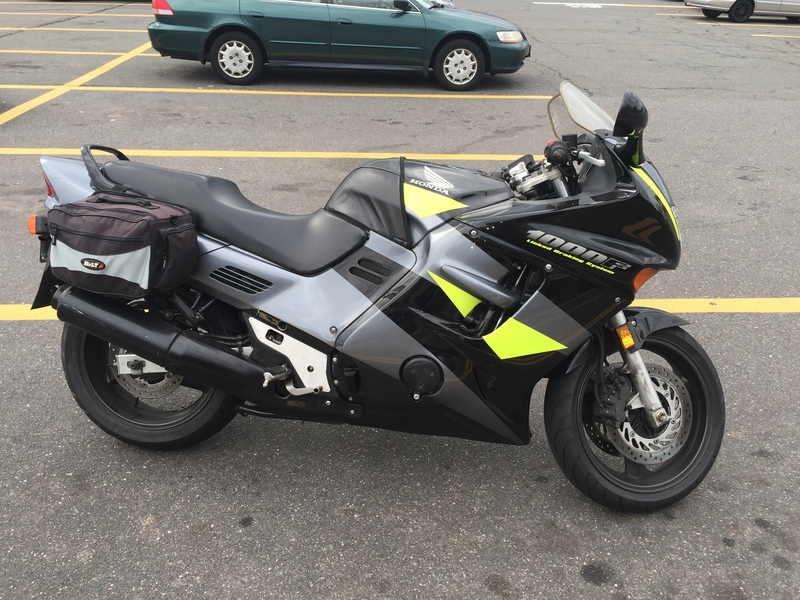 Now that I am riding it, I'd like to get some good luggage on it so I can do some touring around New England. Ideally I'd love to get something similar to the GIVI WingRack on it. HOWEVER, I cannot find a source in the USA for the Y155 bike-specific mounting kit (http://www.giviusa.com/pdf/y155.pdf). The only thing I can find available now is the 227F top case mounting kit which does not allow for side cases. I was wondering if anybody had any leads on where I might be able to get that (or if they have one for sale). Alternatively, I would be interested in hearing of any readily available mounts from other brands that I should consider. Thank you for your advice! This forum has been invaluable so far in my rebuild. When I replaced my broken ones a few years ago I was told I got one of the last sets. If GIVI has stopped making them, your only hope is that a stocking dealer has a set or someone is parting out a bike with them. The older bikes just don't have a high demand for the aftermarket accessory makers to keep supporting them. Perhaps SW-MOTECH or other euro maker has an option. You can buy the GIVI case mount plates and build brackets for them too. There is another brand that I can't remember the name of. I actually like the looks of that brand over the Givi. They are much smaller and look way better with the bags off. I remember Shadow having that type. I haven't seen him active in about a year now, I hope he's OK. Maybe PM him. I recently bought one off eBay over here in GB, they do come up for sale / auction now & again I keep my eyes open for you. Fab looking bike, even sweeter as it's a gift from a mate. What make and what is the partial tank cover called? Are they still available? Anyone have Givi V35 & CBR1000f?